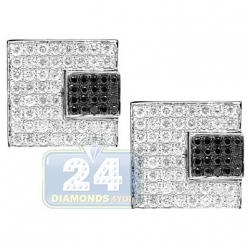 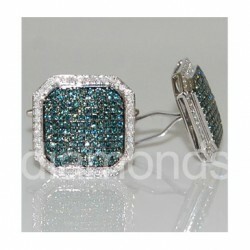 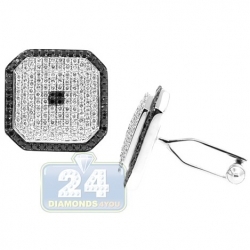 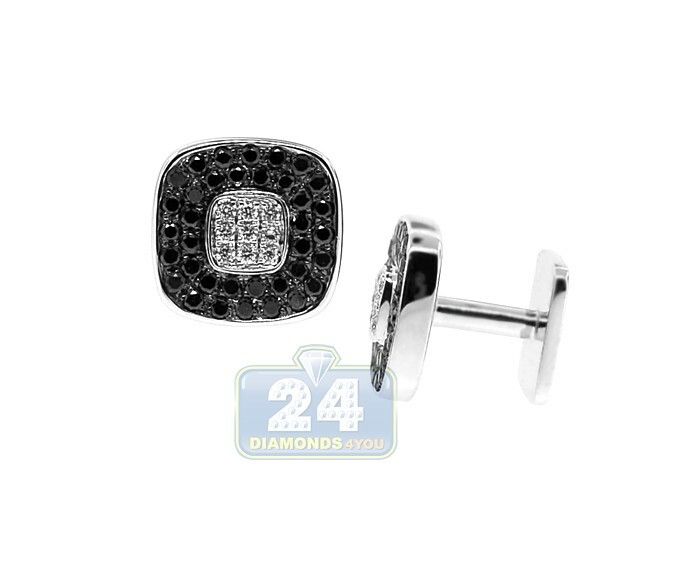 These exceptional diamond cuff links would be a perfect addition to any wardrobe! 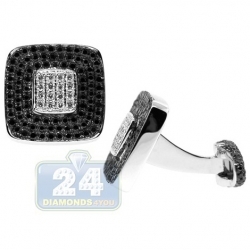 The cuff links are handmade of polished to the perfection 18k white gold and feature magnificent icy white diamonds in the center surrounded by mysterious black round cut diamonds. 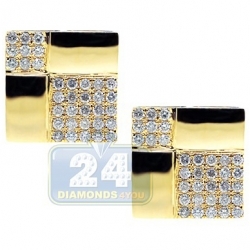 Give your look a touch of precious sparkle with these gold diamond cuff links! 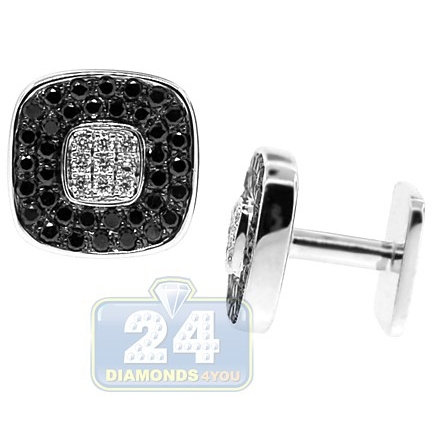 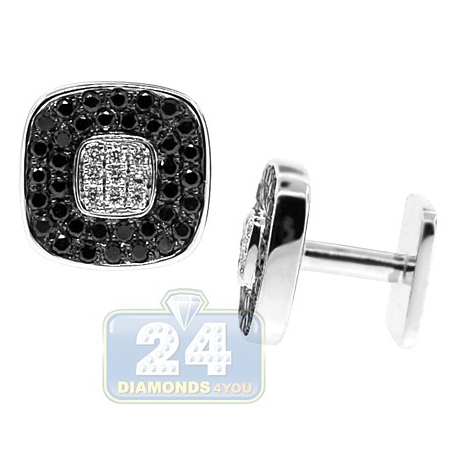 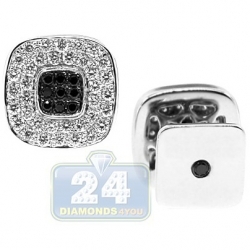 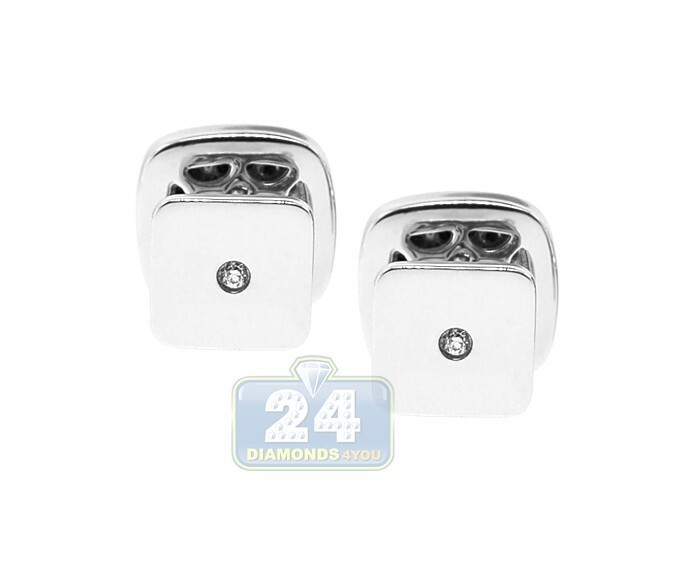 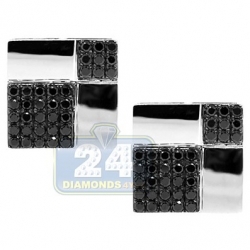 Featured 18k white Gold 2.12 ct black diamond mens square cuff links are manufactured according to the highest jewelry standards by professionals with over 20 years of experience in the industry. 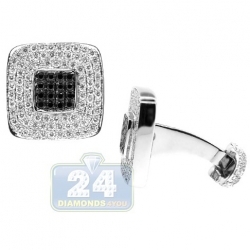 The set comes with a detailed certificate/appraisal.